Winter is here and we cannot wait for it to snow! It always makes the little ones happy, and not just for playing. Without any doubt, skiing is a family sport for children and adults alike. For families with very young children who can’t ski (yet), there are many winter resorts that provide skiers parents with activities, games and lessons so that their children discover this sport safely, comfortably and in a fun way. Let’s tour the best ski resorts 5 wonderful winter resorts perfect for skiing with children! The Huesca Mountains hide a true children’s paradise, full of resources and activities for the little ones. Candanchu has “Candanchulandia”, an area exclusively designed for kids with a totally protected and signposted garden separated from other skiers. In its 3,000 square meters there is a Nordic-style cottage that will protect them from the cold and entertain them with movies, crafts and puzzles, while in the outer area there are sleighs and chairs for them to play. In Huesca you will also find Formigal, the largest ski station in Spain, with a very varied program for the little ones. It has a world-class facility called “Anayet Snow Garden”, with more than 9,000 square meters and capacity for 100 children over two and a half. Here they can enjoy a play area with cooking activities, crafts, painting, costumes, etc. 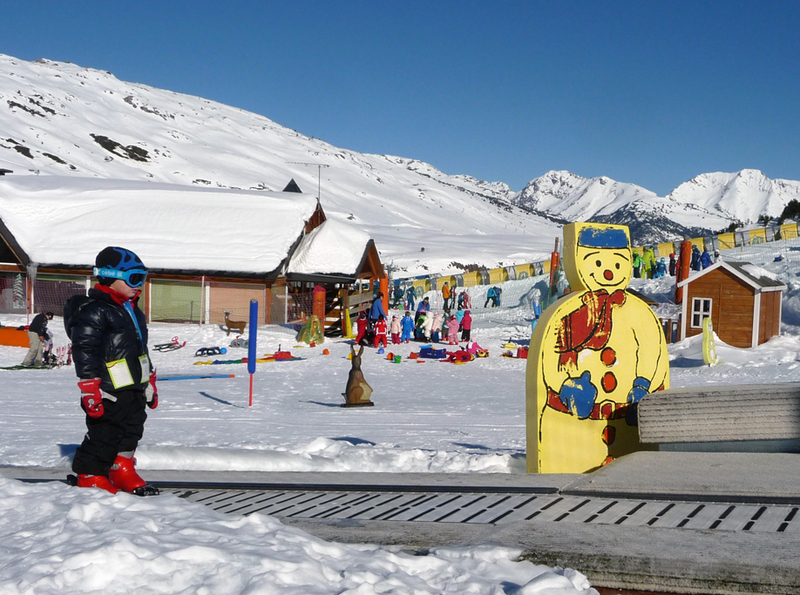 Formigal even offers a special area for babies between four months and two years old. It is located in the Info & Events building and it has a playground, a terrace and a bedroom. Moreover, in the Sarrios area, besides skiing on a special track for amateurs, children can play with an igloo and an Indian village. Baqueira Beret, in middle of the Aran Valley, is one of the best ski resorts in Spain and it also has some special areas for the little ones. It has three playgrounds on the slopes and one at 1,500 meters altitude. 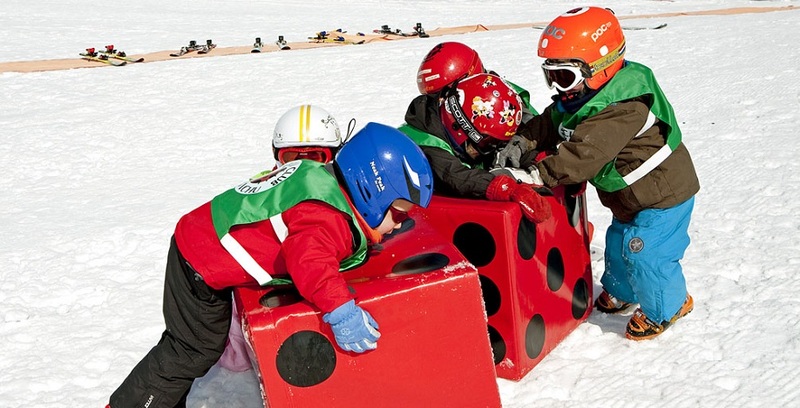 There is also a nursery where children are being taken care of with fun activities while their parents ski. 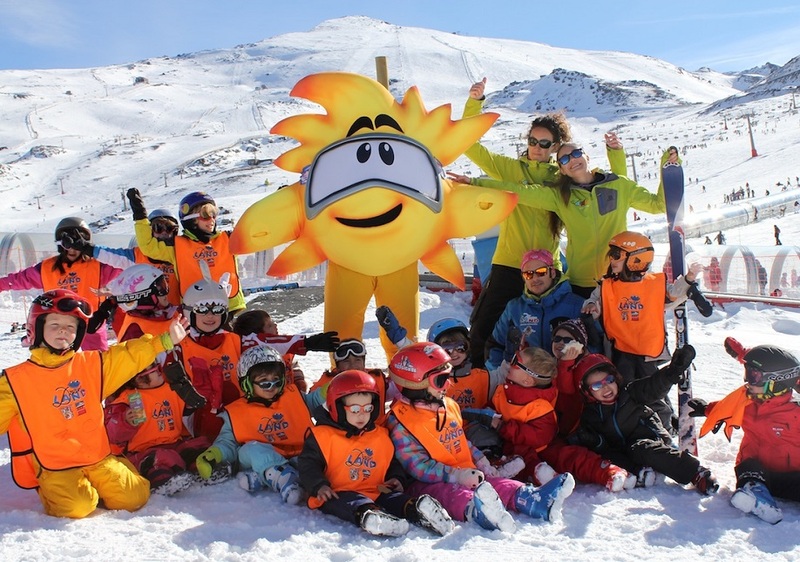 Also in the region of Lleida -but this time in the Valley of Boi-, the Boi Tallull ski resort is less popular than Baqueira Beret but very endearing, and it ‘houses a kids’ club full of educational activities. It also has one of the most complete snow parks in the Pyrenees, offering new experiences in a beautiful natural setting that will make children happy. In Sierra Nevada there is an oasis for kids under six called “Dreamland”. Here they can play in the playground and enjoy activities such as snowmobiling. There is also a magic carpet that allows children to lose their fear of ski slopes. The older ones can visit the International Ski School, where they will receive lessons from experienced counselors that will teach them how to keep balance when walking without poles. After that, they will learn how to go down a gentle slope, to slow down and to make turns.